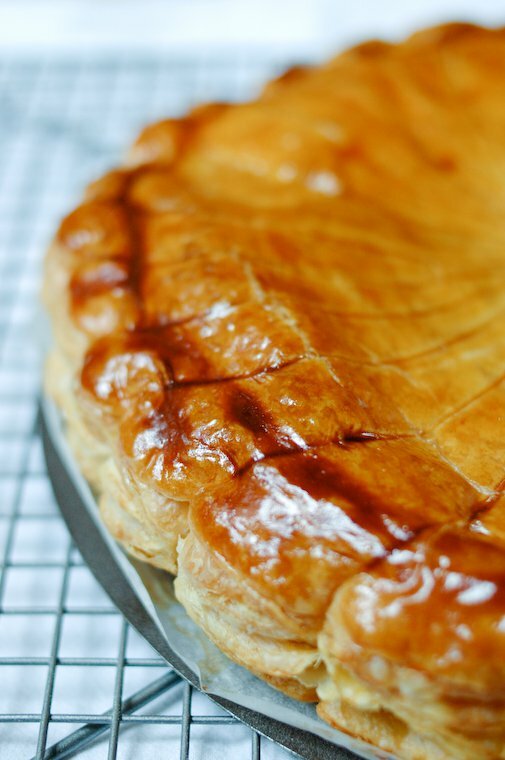 If you’ve ever been in France during the month of January, surely you’ve noticed the blossoming of galettes des rois in the window of every bakery and pastry shop. 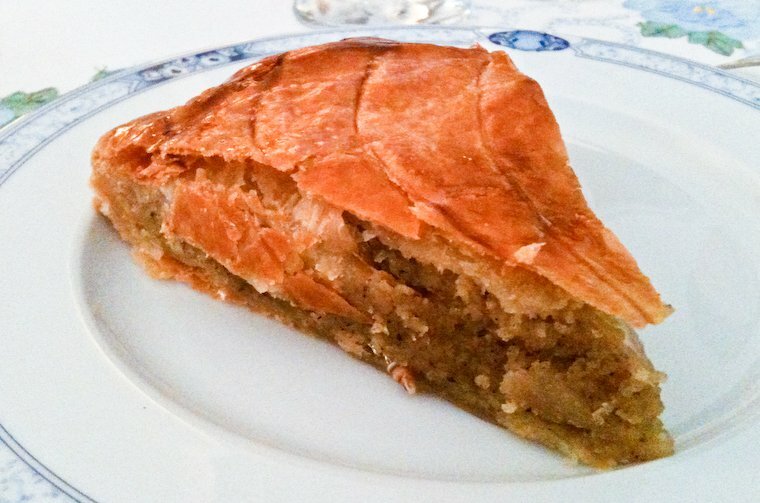 A puff pastry pie garnished with a buttery filling, it is the traditional confection with which the Epiphany is celebrated*; I have written in more detail about this tradition in this post, so I invite you to go and read that first. I’ll wait right here. 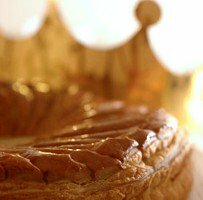 La galette, and the fun ritual that determines who will be king or queen for the day (allow me to insist you read this post if you don’t yet know about the fève thing), bring back many a happy childhood memory for me. Aside from the two years I spent in California, I have partaken of at least one galette a year for as long as I can remember. My first homemade galette des rois! I used to buy them from the pastry shop, like most French people do, but I started making my own a few years ago. My deep attachment to this confection should have compelled me to do so years earlier, but the Epiphany is theoretically celebrated on January 6 — though this is extended to the whole month of January nowadays — and I always felt a bit too tuckered out after the holidays to tackle the project. But that inaugural year was different. We were celebrating my parents’ 40th wedding anniversary one Saturday, my sister, brother-in-law and nephew were visiting from London for the occasion, and my mother had asked if I could bring the dessert for our celebratory lunch. It seemed the perfect opportunity to share a galette with my family, and I had just enough time to make it myself. My initial intention was to make my own puff pastry, using this easy puff pastry formula, but I didn’t quite have it in me so I decided to use store-bought puff pastry. Not just any store-bought puff pastry, mind you, but Madame François’ puff pastry, which is produced in Sologne with butter from the Charentes, farine de gruau (fine wheat flour) and zero additives. I got it from G. Detou, where it is sold in slabs of 3 kilos, ready to be divided, shared and/or frozen; it can also be ordered on their website**. 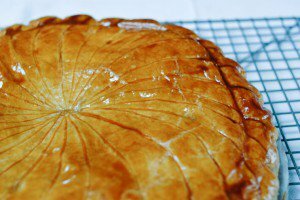 What’s inside a galette des rois? 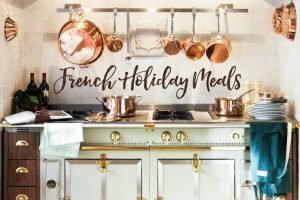 The stuffing was crème d’amande, not frangipane. There is a lot of confusion between the two, so here’s the difference: crème d’amande (almond cream) is a simple mix of butter, sugar, ground almonds, and eggs, more or less in equal parts. 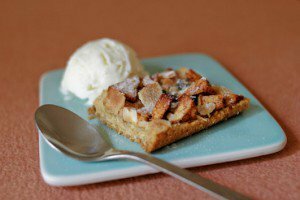 Frangipane, on the other hand, is a blend of crème d’amande and crème pâtissière (pastry cream), which in turn is made with eggs, milk, sugar, and flour or cornstarch. Most galettes sold out there are filled with frangipane rather than crème d’amande — the production cost of frangipane is a lot lower, since the almonds are the most expensive ingredient in there — but my preference goes to crème d’amande, which makes a more delicate, less eggy, more flavorful filling. As for the all-important fève (read here to know what that is), I had wisely saved the one Maxence got when we ate a galette des rois at my cousin’s a week before: it is a little porcelain tower of some sort that seems like the tip might pierce the roof of your mouth if you’re really out of luck, but this is France, where people don’t really sue one another for that sort of thing***. 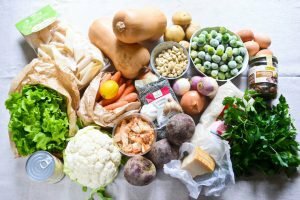 I consulted countless recipes, watched numerous videos including this one, and merged all the things I’d learned into my own version, with a little hazelnut flour in the stuffing. 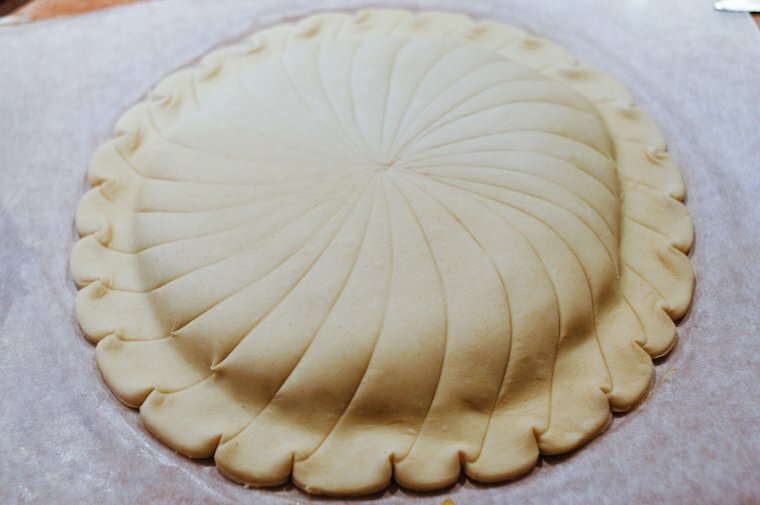 The making of the galette itself really wasn’t difficult at all, at least for someone with a minimum of baking experience: you spread the puff pastry into two circles, spread crème d’amande on the first, cover it with the second, score, eggwash, and bake. 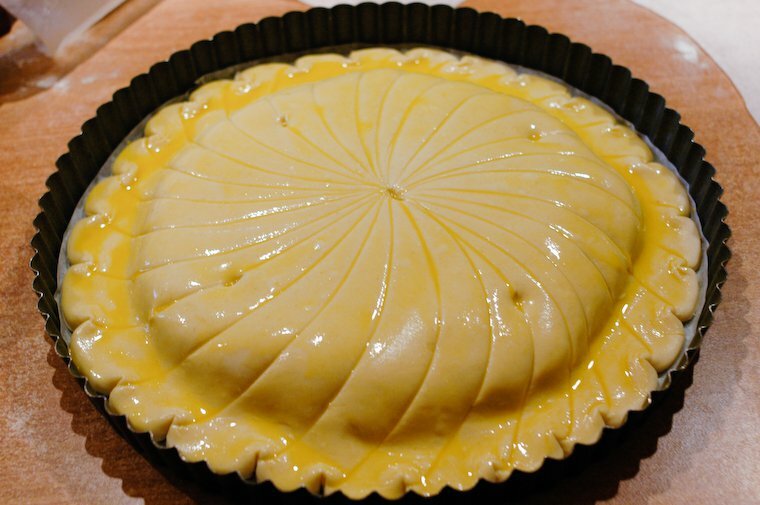 The only slightly tricky steps are: 1- not forgetting to place the fève in the filling (a horrifying prospect), 2- placing the top circle precisely over the first, 3- sealing it properly so the filling won’t escape, and 4- making sure the eggwash doesn’t drip over the edges of the puff pastry, otherwise it might not rise to its full potential. I did get some guidance from my personal galette hotline, i.e. 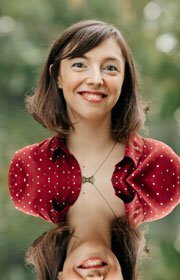 my friend Pascale, whom I asked if I could prepare everything a day in advance and bake the galette on the day of: she said I could freeze it overnight, and bake it straight from the freezer in the morning. She even mentioned that puff pastry rises higher if it’s been frozen at some point. It worked perfectly: I woke up, preheated the oven, slipped the frozen galette inside, and tried my best to occupy myself with other things — watched puff pastry never rises — until it was ready, golden brown, puffy, and gorgeous. The bonus challenge I faced was transporting the galette to my parents’ apartment — on Maxence’s scooter. I improvised a cake carrier out of two cereal boxes, inserted it in the compartment under the seat, and hoped for the best. Maxence was very careful to avoid bumps and ruts, and although we were practically run down by our squealing nephew upon arrival, the galette made it safely to my mother’s kitchen, then to our table, where it was received with enthusiasm and compliments. My father even declared he’d never eaten such a flavorful galette des rois, and he’d said that about Pierre Hermé’s before (a completely unbiased opinion, to be sure). And as luck (and possibly karma) would have it, I got the fève, which means I could save it for the next year, when I made another galette: once you know how rewarding and fun it is to make your own, there’s no turning back, I’m afraid. Feeling up for the project yourself? You have until the end of January to do so — at least that’s when the French stop eating galettes (and stop wishing one another a happy new year). And if it feels too tight, well, the recipe will be right here waiting for you next year! * Except in the south of France, where the gâteau des rois — a ring-shaped brioche studded with candied fruit — takes its place. ** If that’s not an option, use the best quality puff pastry you can find and afford. 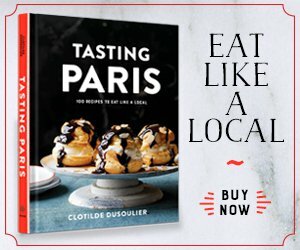 Ideally, it will be made with just flour, butter, water, and salt (no other type of fat, and no preservatives or additives); in France, the one that is sold by Picard is said to be the best option in its range. *** I’ve read that some French-style bakeries established in the US simply place a whole almond instead of a trinket in their galettes, to avoid any broken tooth incident. 1. Prepare the crème d'amande. 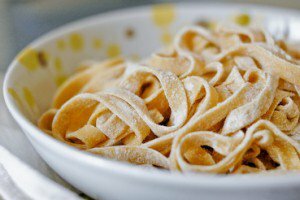 Beat the butter until creamy, but avoid incorporating air into it. In a bowl, combine the sugar, almonds, hazelnuts, corn starch, and salt. Stir with a whisk to remove any lump. Add to the creamed butter and mix until smooth. Add the almond extract and orange flower water, then the eggs, one at a time, mixing well between each addition. Cover and refrigerate for an hour or overnight. 2. Roll out the puff pastry. 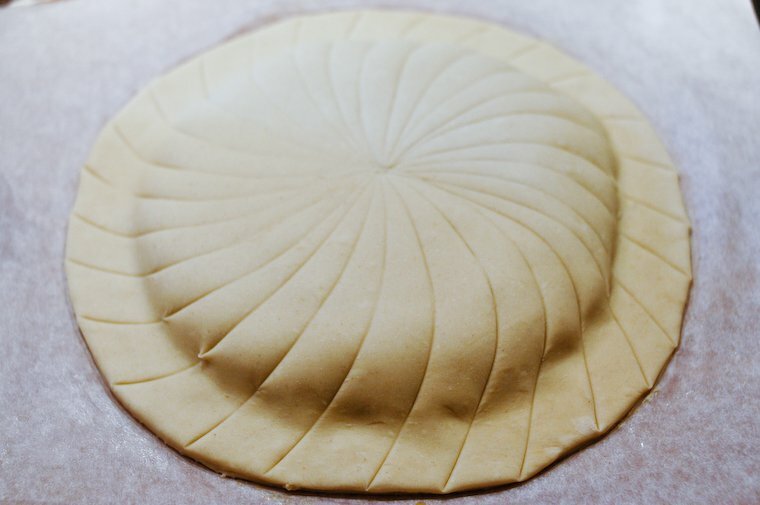 Divide the puff pastry in 2 equal pieces, and roll each one out to form a rough circle a little larger than 30 cm (12 inches) in diameter. Use a sharp knife and an upturned plate of the right dimension to cut a neat 30-cm (12-inch) circle out of one, and a slightly larger one with the other, adding, say, 6 mm (1/4 inch) all around the edge of the plate. Place the smaller of the two circles on a piece of parchment paper or a silicone baking mat. In a small bowl, combine the egg yolk with a tablespoon water (or milk, if you have it handy) until smooth. 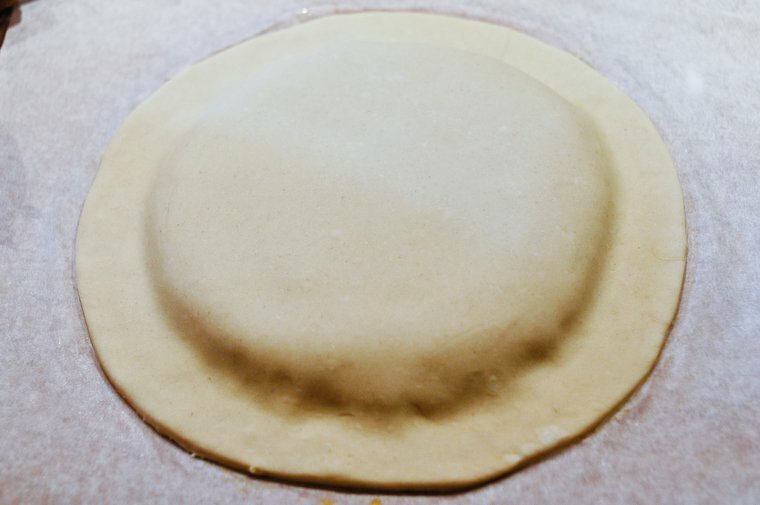 Using a pastry brush, brush the outer rim of the dough lightly with the eggwash by a width of about 2.5 cm (1 inch). Make sure not to wet the actual edge of the dough, or it will impede its rise. Pour the crème d'amande in the center and spread it out inside the eggwash ring with a spatula. 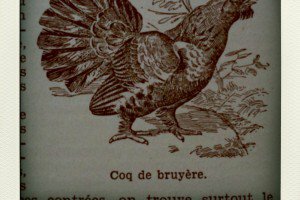 Place a porcelain fève, a dried bean, or the trinket of your choice in the crème d'amande -- not in the center but closer to an edge, or your knife will keep running into it when you divide the galette. And if it is an elongated shape, make sure to orient it straight toward the center of the galette, again, to minimize the possibility of you hitting it with your knife (as you see in the picture below, mine was not, and sure enough, I cut right into the top of the little tower). Press it down gently to bury it. 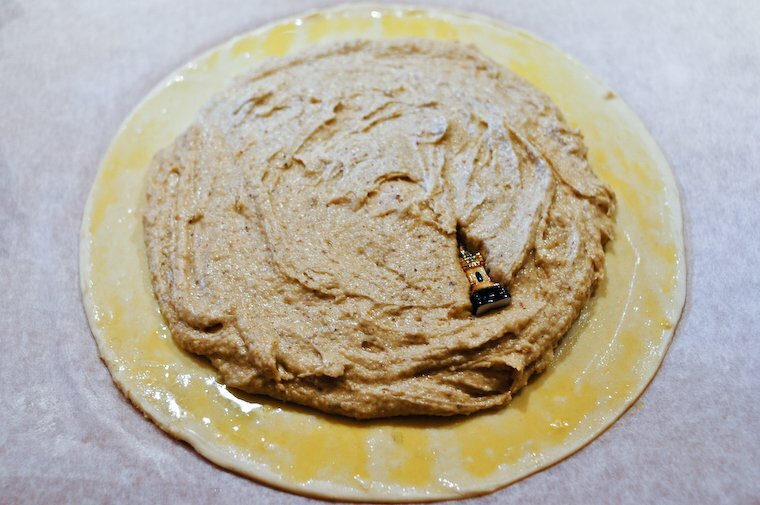 Transfer the second round of dough precisely on top of the first, smooth it out gently over the crème d'amande to remove any air pocket, and press it down all around the sides to seal. Using the back of the tip of your knife (i.e. the dull side), draw a decorative pattern on top of the galette: a diamond-shaped grid, optionally with double or triple lines, a flower pattern... see examples here, here, or here. 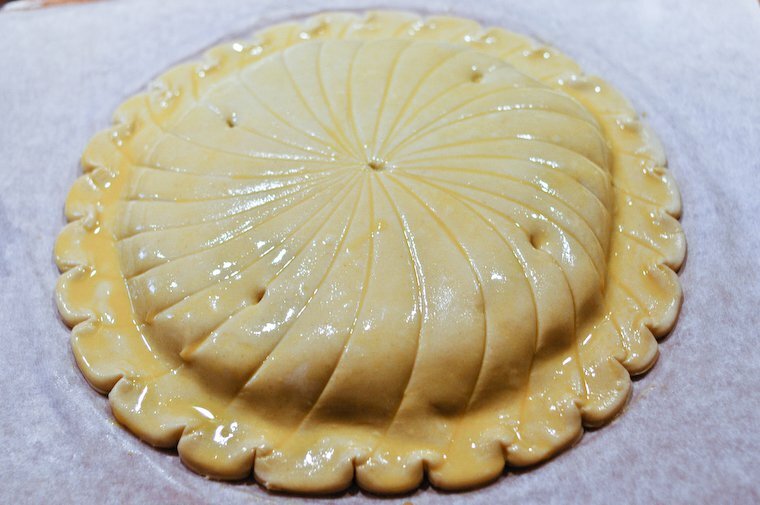 I chose to make a sun pattern as demonstrated in this video: you start from the center and draw an arc to reach the edge of the galette in a single, smooth gesture, exercising just enough pressure to score the dough without piercing it. 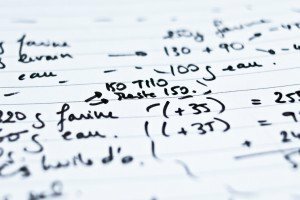 You then turn the galette ever so slightly, draw a similar arc nested in the first one, and repeat until the entire galette is scored. Holding your knife upright, blade down, and using the dull side of the blade, push the dough inward where each sun ray ends, to create a festooned pattern. Using the tip of your knife, pierce 5 holes in the top dough -- one in the center, and four around the sides, piercing through the pattern you've drawn -- to ensure an even rise. Preheat the oven to 180°C (360°F); if the galette was in the freezer, take it out while the oven preheats. Insert the galette in the middle of the oven and bake for 30 minutes (35 if it was frozen), until puffy and golden brown. In the final minutes of baking, combine the tablespoon of confectioner's sugar with a tablespoon very hot water (heated until boiling in the kettle or the microwave). 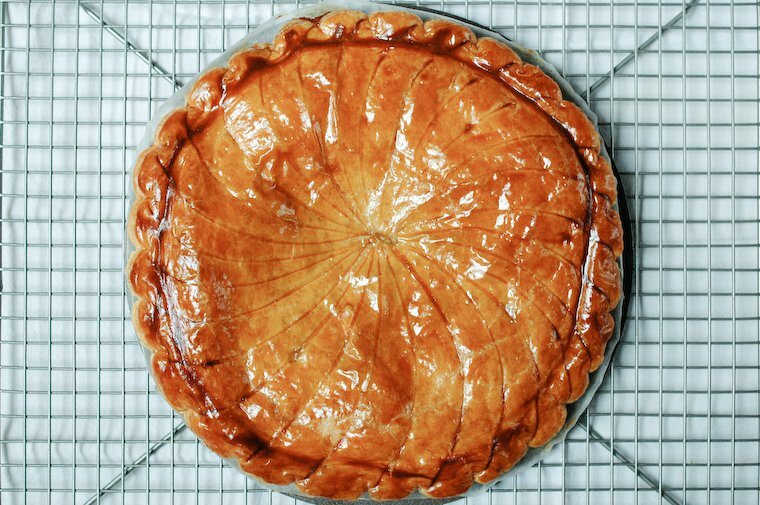 When the galette is done, remove it from the oven, brush it across the top with the syrup, and return it to the oven for a minute; this will give it a shiny finish. Place on a rack to cool completely (it will settle as it cools) and serve at room temperature. (Some people prefer it slightly warm, so they reheat it slightly in a warm oven before serving.) The traditional pairing is with Champagne or hard cider. Have one of the guests (usually the youngest) hide under the table if he's willing, or at least cover his eyes or turn his back to the table. Cut the galette into servings and, for each serving, have the guest decide who should have it. If your guests are unfamiliar with the tradition, make sure you warn everyone that a fève may be hiding in their slice. Whoever finds it is king/queen for the day, receives a paper crown, and gets to pick his/her queen/king (or king/queen for that matter) by giving her/him the second paper crown. 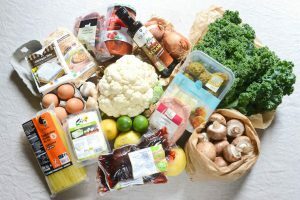 I provided volume conversions, but for best results I strongly recommend you weigh the ingredients for this recipe. I normally mention that you can also grind your own almonds, but here it is worth seeking out almond meal (you'll find it at natural food stores and Middle-Eastern markets): it is a lot more finely ground than what you could achieve at home, and this will make the crème d'amande incomparably smooth. 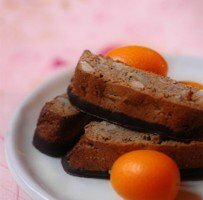 Read more about the hazelnut flour I used. 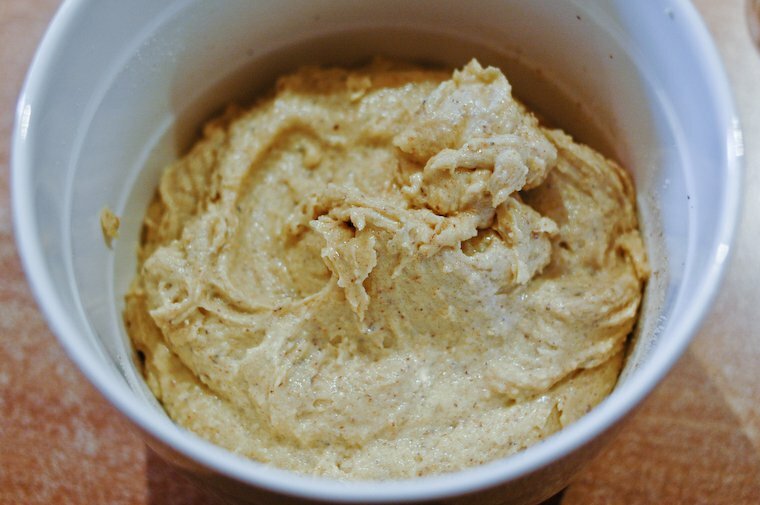 Alternatively, you can grind the hazelnuts yourself if you prefer: place 20 grams (3 tablespoons) shelled hazelnuts in a blender with 2 tablespoons of the sugar used in the crème d'amande, and pulse until finely ground. 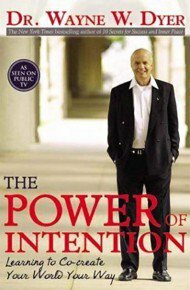 This post was first published in January 2010 and updated in January 2017.